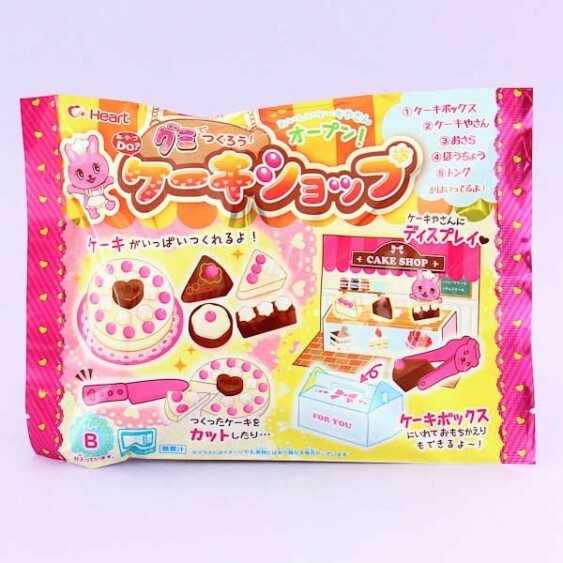 Have your own cute cake shop now with gummy candy! Heart's DIY candy set is fun and interesting way to make familiar dishes as miniature foods from delicious candy materials easy way! With this do-it-yourself set, you can make your own delicious & cute cakes! 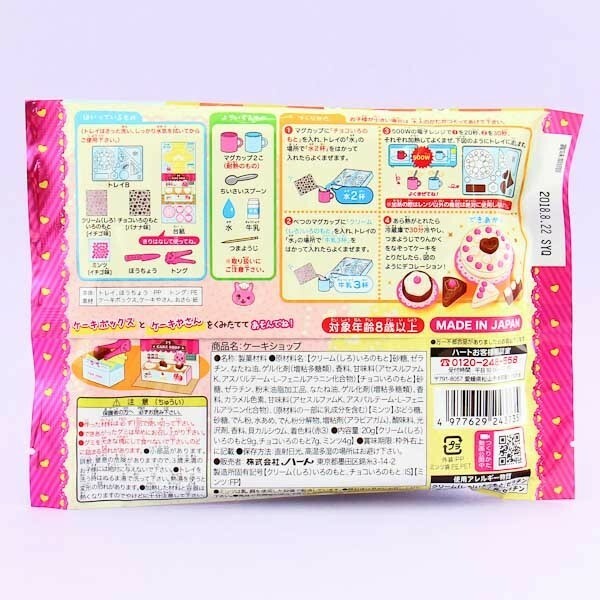 Set includes everything you need: flavored powders (banana and strawberry), molds to make cakes, small knife, server, candy for decoration and the cake shop. You only need a splash of milk, water, and a microwave. This set is great fun for both children and adults!